Celebrating their final year as Europeans, island-monkeys Becca and Louise want to talk about home, your home, what we are doing in your home, what you might be doing in our home and how cheap the beers are here. Lads on tour Sh!t Theatre are coming to The Pub in Archbishop Street Valletta, to drink rum with Expats and dig deeper into coming and going: who exactly should come and who gets to go. They are here to research their new show between the 28th May to 3rd June and would like to talk to expats while developing their show: Drink Rum with Expats. Using their unique investigative powers, a final performance will be created and shown in Malta at the end of 2018. Sh!t Theatre Drink Rum With Expats forms part of Latitude 36, a socially engaged audio-visual arts project focusing on the Maltese diasporic community and part of the Valletta 2018 Cultural Programme. 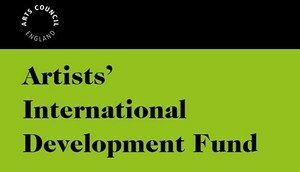 Sh!t Theatre are supported by the British Council, The Pub and the Artists’ International Development Fund.